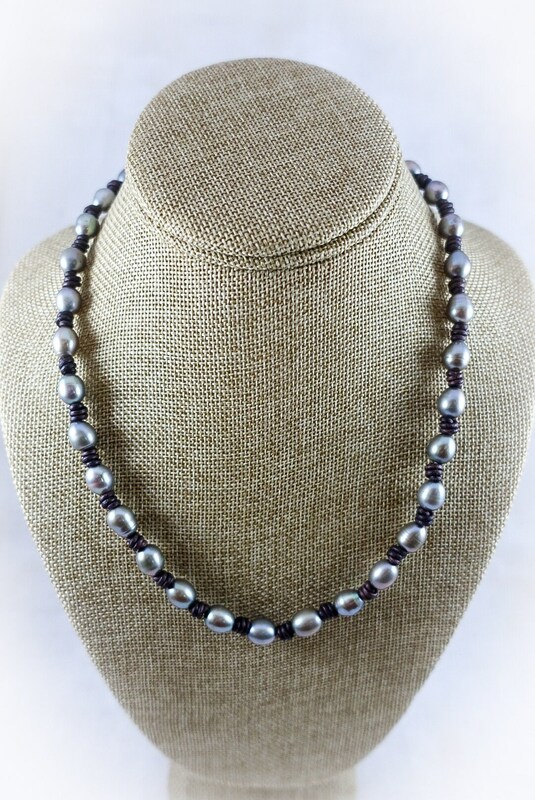 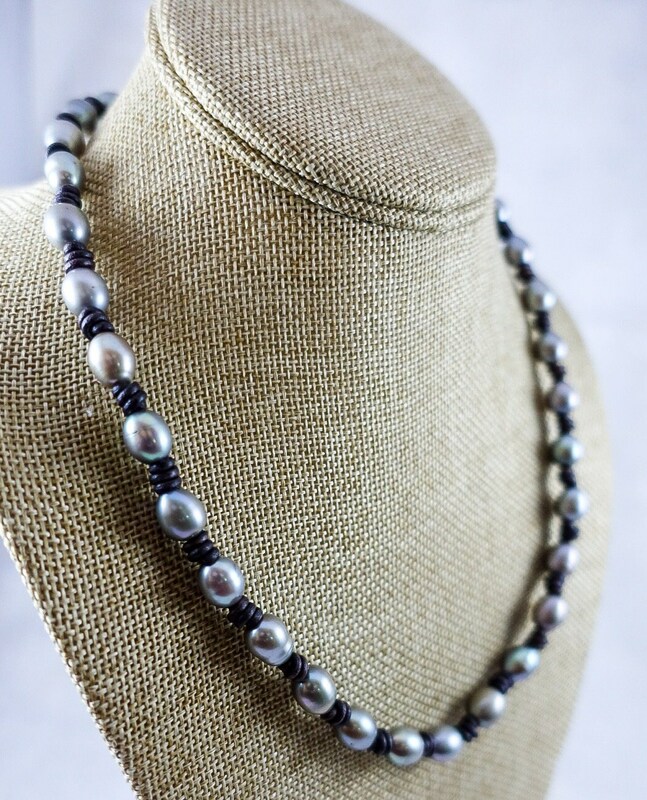 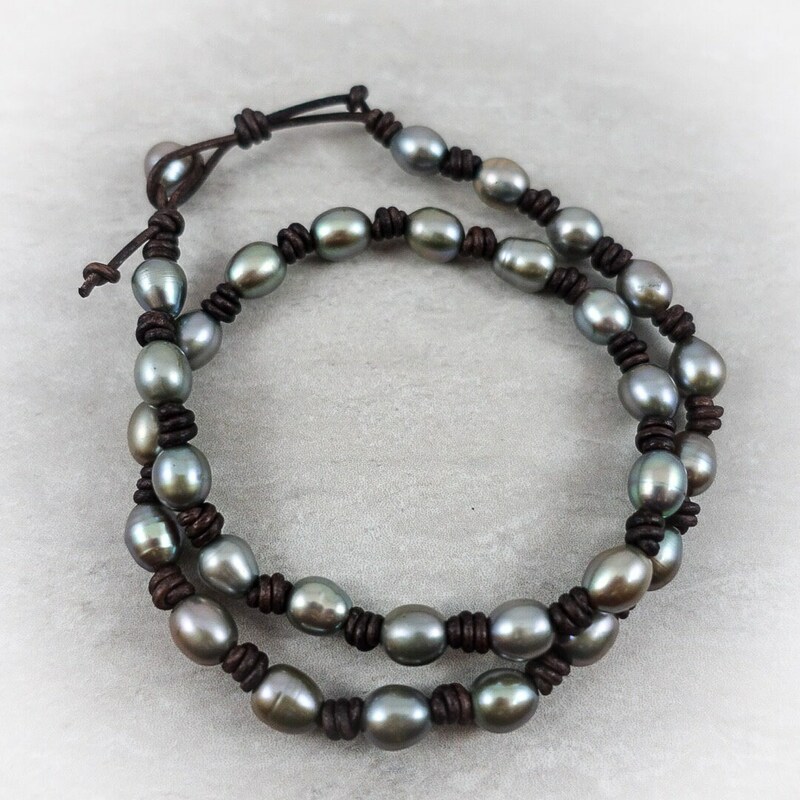 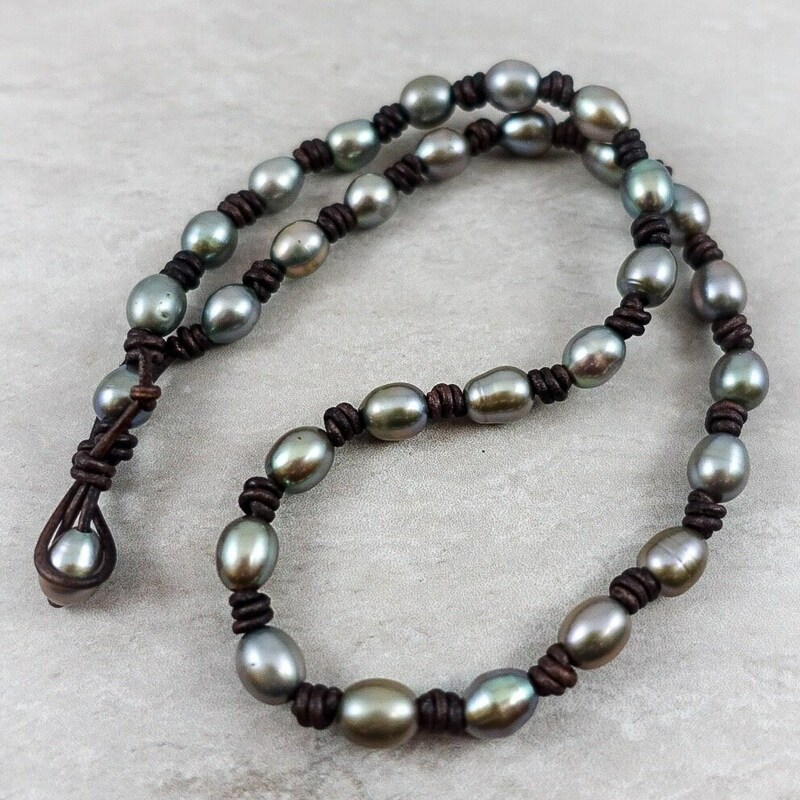 This stunning, silver/grey Freshwater pearl necklace with antiqued brown leather is sure to make a statement. 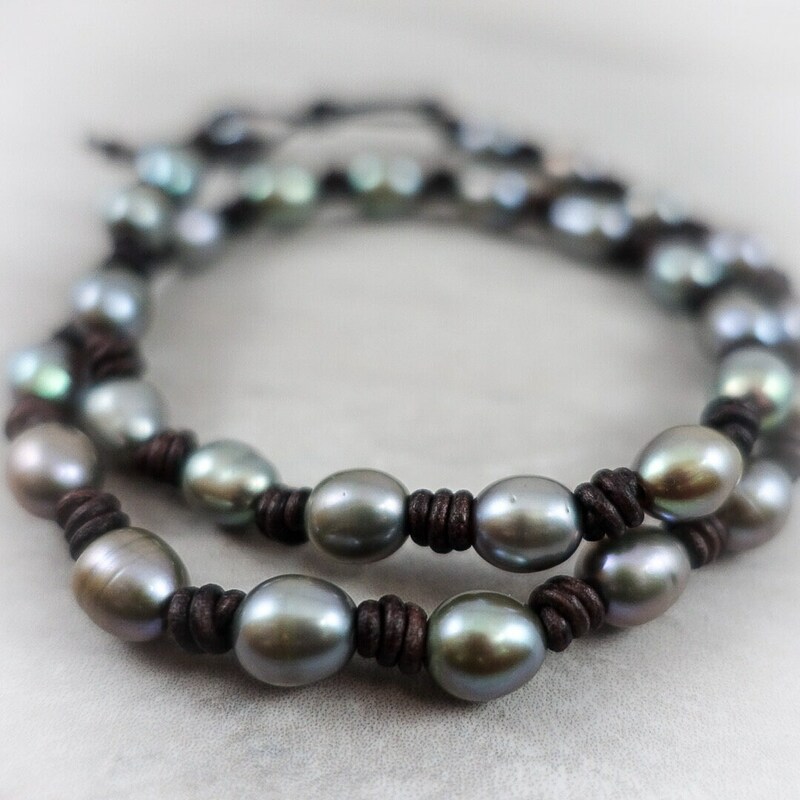 Fresh Water Pearls are known to center one's soul and bring the ability to calmly reflect on life. 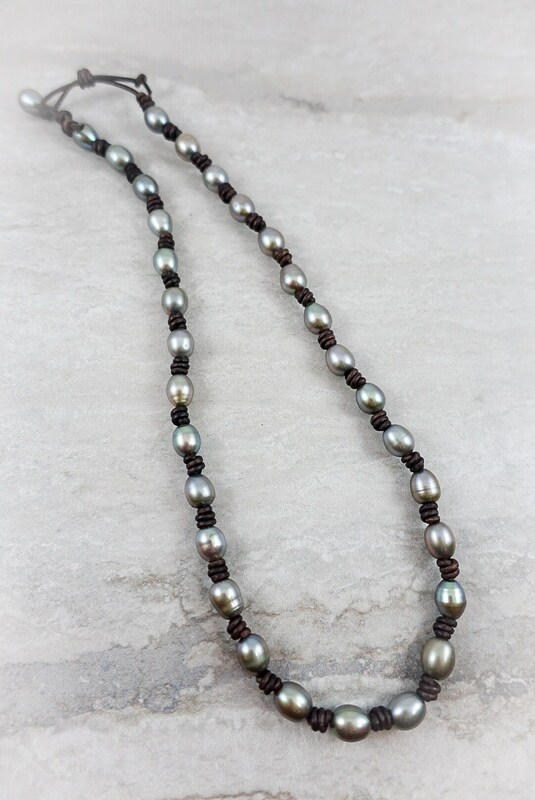 Lyra is 18 inches in length with a button hole clasp, priced at $120.